EPF Rewards Scheme - What level are you? 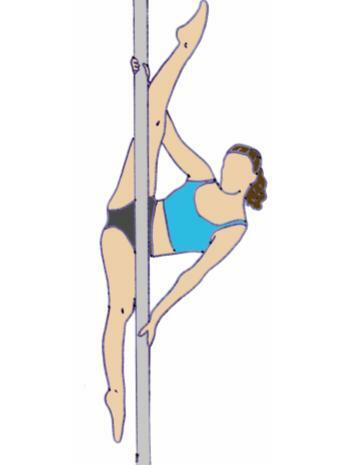 Big Dipper (step around), pirouette, prayer slide (& arm variation), fireman spin, cross leg fireman, pike fireman, front hook, back hook, static v kick, step & slide, attitude spin (both sides), chair spin, pole squat, arch pose. PLUS combos: chair to front hook, attitude to cross leg fireman, Big Dipper to back hook, Big Dipper to pirouette to front hook. 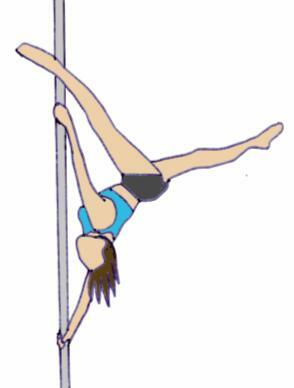 Firelady, pike fireman, front hook with kick, mermaid spin, back hook with sweep leg, windmill, chair spin with extended legs, straddle pose, arch pose on floor, midnight kiss spin, cross leg sit, straight leg sit, pole stand, static tinkerbell. 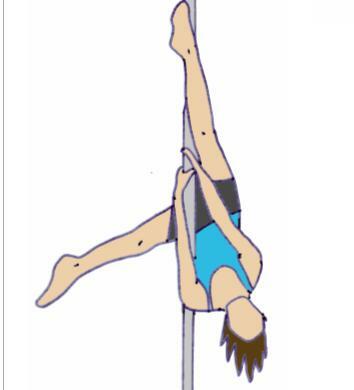 PLUS combos: front hook to back hook, pole stand to pole sit, fireman to pike fireman, chair to single leg extended chair, chair to back hook, windmill to back arch. 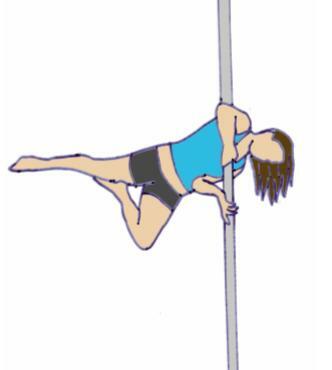 Carousel, straight leg carousel, kamikaze, pole hug, side crouch, boomerang, basic climb, no hand cross leg sit, standing crucifix, layout, split sit, forearm headstand, basic invert. PLUS combos: chair to carousel, carousel to back hook, boomerang to attitude spin, carousel to tinkerbell spin, chair to front hook to back hook, windmill to cross leg sit. Straight leg kamikaze, dropped tuck spin, side crouch with straight legs, static boomerang wiggle, explosion, swan seat, Peter Pan, ball seat, corkscrew spin, sundial spin, invert with handstand dismount, invert with shoulder spin dismount, crucifix, closed midnight kiss, basic genie. PLUS combos: boomerang to back hook, explosion to standing crucifix, fireman to climb. 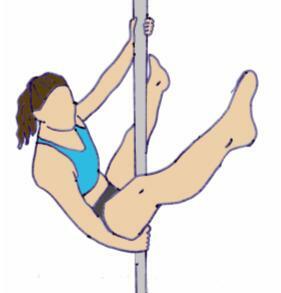 Extended reverse grab, teddy, yogini, reverse Gemini, cross leg thigh hold, basic butterfly, double cross knee release, Scorpio, inverted hip hold, Gemini to upright position, crucifix to upright position, no handed genie, iguana, hero, superman, Cupid (with hand), basic shouldermount, side box split, Gemini handstand. PLUS combos: butterfly to flatline Scorpio, midnight kiss to reverse Gemini. Extended forearm stand, pretzel spin, cross ankle release, broken Scorpio, caterpillar climb, straight edge (all grips), extended butterfly, triangle pose, no handed Cupid, aerial invert, bow and arrow (both grips), controlled iguana, duchess, flatline Cupid, shoulder jack. PLUS combos: extended butterfly to flatline, Scorpio switch, star to superman, Cupid to butterfly. Handspring, elbow grip aysha, shouldermount butterfly, crescent moon, Allegra, shoulder barrel roll, jade, brass monkey, aerial jamilla, ballerina, knees, recliner invert, shoulder bounce, holly drop, aerial shouldermount, one handed meahook, tick rock, vixen roll. Flag to brass monkey, brass monkey to flag, brass bridge, Eros, armpit hold pike, Remi bridge, lotus, elbow grip hang, reiko invert splits, Special K, peacock split, diva dive, machine gun, aerial handspring, daredevil, superpain, u bend, Russian bridge, back aysha split, janeiro, Mexican.